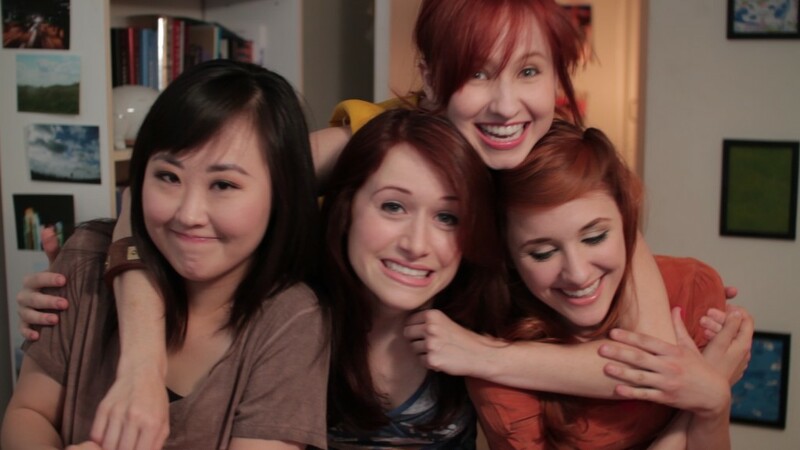 In 2012, The Lizzie Bennet Diaries (fondly known as LBD) brought the familiar and beloved novel Pride and Prejudice to a relatively new online platform as a webseries, and the results were nothing less than extraordinary. Jane Austen’s characters shifted into grad students, aspiring fashion designers, medical students, and CEOs, their lives and uncertainties closer to the experience of a twenty-something today. That relatability drove the series to success and awards alike. 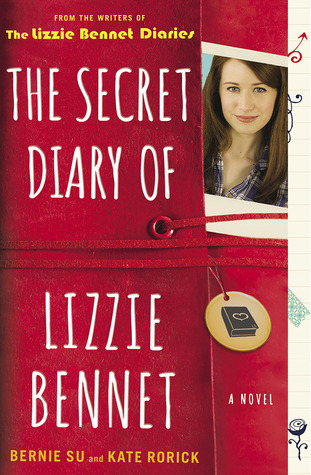 Two years later, The Secret Diary of Lizzie Bennet attempts to add a few more pages to Lizzie’s story, to mixed results and several questions. As much as I loved LBD and was excited for this book, I found myself wondering why Bernie Su and the Pemberley Digital team wanted to bring the Bennets back to the novel format, and what the change could possibly add to the established universe. Secret Diary is an easy read, if a little lackluster. The webseries was a vibrant project, with capable actors who could fit volumes of expression into a single glance, a necessary skill in four-minute videos. But while we got to see and hear the voices of characters besides Lizzie in the webseries (and therefore witness their real-time reactions and expressions), Secret Diary is much more contained. Lizzie’s narration feels more guarded on the page, which is strange given that it’s her diary and not a vlog viewed by millions of people. A good chunk of the book was her contemplating events that happened in the videos, but with less background insight than I would have expected from a personal journal. In fact, some of the key events in the novel were presented as straight transcripts. The first instance startled me, the second did not impress me—I had hoped that Secret Diary would let Lizzie’s thoughts loose on the page, and to be given transcripts of videos I’d already seen (multiple times) felt like taking the easy way out. The oft-mentioned letter from Darcy to Lizzie is also displayed without commentary, though it works as a stand-alone contrast to Lizzie’s thoughts. Where the novel does succeed is expanding the role of several supporting characters. Charlotte Lu, Lizzie’s best friend, has more of a presence here, arguably even more so than in Pride and Prejudice itself. She’s clever, but it’s easy to see how her bright nature dims as the story goes on, and Secret Diary gives time to develop her growth. Lizzie loses some of her own vibrancy in the entries after she and Charlotte fall out with each other, a great narrative choice by the writers. The tension between Lizzie and sister Lydia is more intense in the novel, and Lizzie’s railing about Lydia’s choices while failing to see Lydia’s attempts to connect with anyone is particularly hard to read when you know what’s going to happen. I greatly enjoyed Lizzie and Jane’s conversations, and the history between them that Lizzie hails back to. Most importantly, the novel lays the foundation for Lizzie’s fears and insecurities through her interactions with other people. We see how she holds onto her ideals despite inevitable change, and while in some instances that’s a good thing (see: Mr. Collins), sometimes it also leads her to some tougher choices. But while the ladies and their relationships with one another were detailed, Darcy and Bing did not have the same fate. I found myself less interested in Darcy this time around, despite concessions such as more information about Lizzie’s jaunt to San Francisco with him and his sister Gigi. He didn’t feel as real to me, and I had less sympathy for Bing for making the choices he did. Being able to see his physical reactions in the webseries had helped his characterization, and the switch back to text format didn’t do him any favours. Overall, fans of the webseries will enjoy this return to Lizzie’s life, and the complications therein. With a sequel due out in 2015 from the pen of Lydia Bennet, this likely won’t be the last we hear of the Bennet family.